Over 1/3 of all the food we produce gets wasted before it’s even left the farm! 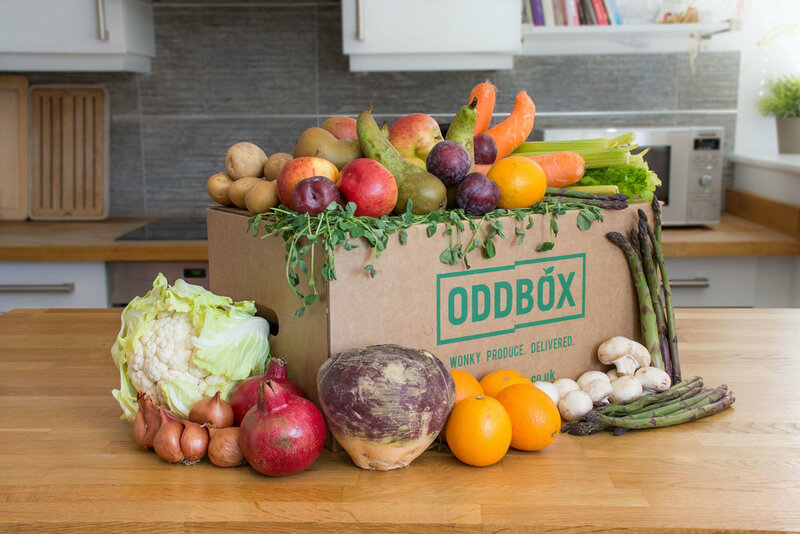 Oddbox are fighting this food waste, by saving the wonky surplus produce from going to landfill and selling to consumers at fair prices. Enjoy, it’s a great read! Please can you provide an overview of who Oddbox your core values as a company? 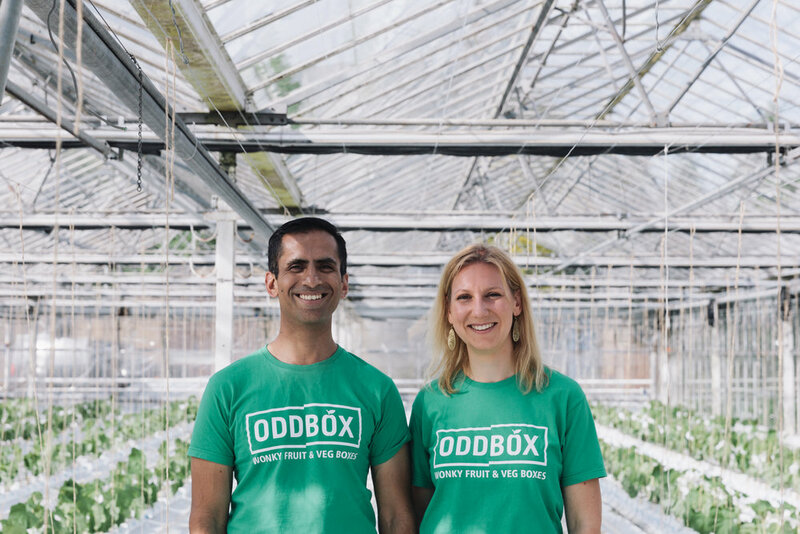 At Oddbox we’re on a mission to fight food waste on farms by normalising wonky produce. We work with over 35 local growers to source slightly imperfect but just as delicious produce for a fair price directly from farms and deliver them straight to customers for 30% cheaper than similar box services. In addition, we donate up to 10% of our produce to charities that fight food poverty. We’re London’s first and only fruit and veg box delivery scheme focusing purely on wonky and surplus produce. We aim to educate people about the issue of waste in the food industry and how they can help drive change as well as how food is grown, seasonality and the challenges faced by the growers. We want to bring more transparency and accountability in the sector and create a better system for everyone. Where do you get wonky fruit from? And why are these not sold in mainstream supermarkets? We partner with over 35 growers and pack houses based within 200 miles from London and rescue produce which either don't fit supermarket specifications or are surplus to requirements. Supermarkets believe that consumers only want perfect-looking produce and have set very strict specifications on size, shape and colour. In addition, as they use plastic packaging for most of the fresh produce they sell, this drives conformity so all packs look exactly the same with the same number of carrots or apples in a 500g pack for example. Cucumbers are all cling wrapped and the machine can only take straight cucumbers so we get the curvy ones in our boxes. There is also an element of mismatch between supply and demand with supermarkets changing their orders based on customer’s demand or due to changes in the weather and cases of crop flushes and we also rescue produce which are in excess supply as obviously fresh produce is not something which can always be easily stored. Can you tell us about the global issue of food waste, and what you think is key to reducing this waste? Food waste isn’t just about food; it has huge environmental consequences. If the global amount of food we waste was a country, it would be the third largest emitter of greenhouse gases behind China & the USA. The impact of wasting food also has a huge water wastage footprint, not to mention the labour and cost of human hunger with perfectly good food going to waste. For instance, it takes 800 litres of water to grow 1 kilo of banana in addition to the land usage, the labour and the fuel to transport these bananas to the UK so wasting food already produced in an enormous drain on resources. By making it our mission to rescue as much as we can as well as work to educate people about the impact of food waste and why growers are forced to over-produce and then waste 30% of their crop, we’re directly challenging food waste and businesses operating with damaging environmental consequences. What is the impact Oddbox has had on saving food from going to landfill? Till date, we are extremely proud to have rescued over 150 tonnes of produce from going to waste. We also donate up to 10% of the produce we rescue to charities fighting food poverty as on one hand, we waste a lot of the food we produce and on the other hand, there are millions of people who suffer from malnutrition and even in the UK, 1 in 4 parents cannot always afford 3 meals a day and are reliant on food banks. How have you seen a change in people with how they perceive sustainability and want to see change? There has been a massive shift in consciousness and increased awareness of the issue of food and plastic waste with people keen to shop more ethically. Consumers want to support businesses who do good and are aware of the power they have to influence change across the industry. We have witnessed this very recently with plastic waste and supermarkets being forced to reduce their plastic usage and offer more environmental friendly options. It will take a lot of time for things to fundamentally change but it is exciting to see that consumers are pushing for change. Want to learn more about what you can do to protect our planet? Then why not join us at our London based sustainable events. Expect expert-led talks, panel discussions, vegan food, a zero waste bar and a beautiful ethical market! Join our mailing list to find out first about events.